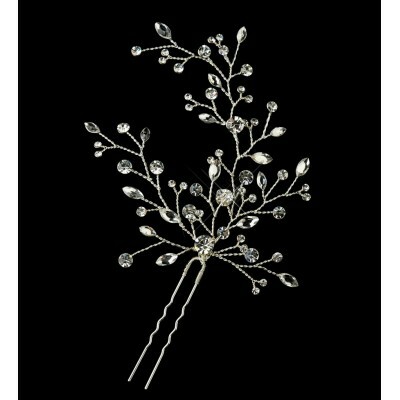 A light and delicate bridal hair pin, it is composed of mixed shape Swarovski Crystals and beads which have been woven into a fine "sprig" design. 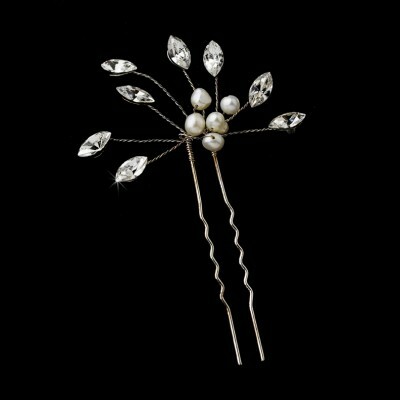 Perfect worn alone, though this bridal pin can be used in conjunction with another piece/s for greater effect. 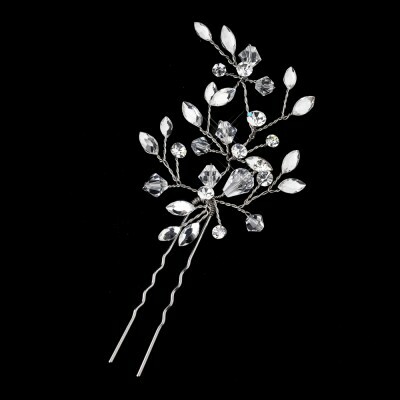 Provides light, yet beautiful cove..
A light and delicate bridal hair pin, composed of mixed shape Swarovski Crystals and beads which have been woven into a fine "sprig" design. Perfect worn alone, but can be used in conjunction with another piece for greater effect. 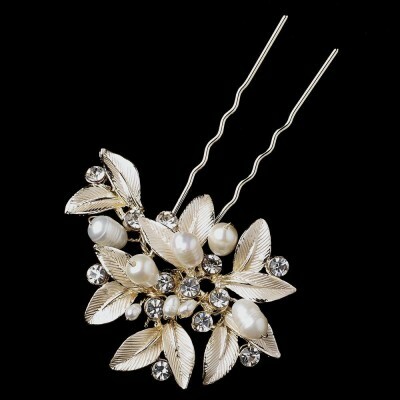 Provides light coverage of sparkle in bridal upstyles without any..
A super-light and delicate bridal hair pin, composed of leaf shape crystals and genuine freshwater pearls. A fine "sprig" design, made with flexible wire so you can bend into desired shape easily. Can be worn alone, or clustered together. Provides light coverage of sparkle in bridal up-styl.. 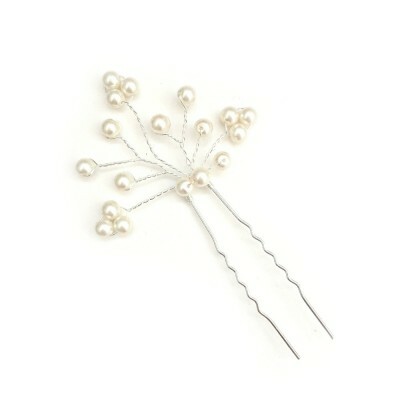 Bridal hairpins make a beautiful finishing touch for the entire wedding party. Whether you're looking for a pretty finishing touch for your bridal hairstyle, or a personalised gift for your bridesmaids, you'll find the perfect wedding hairpin here. 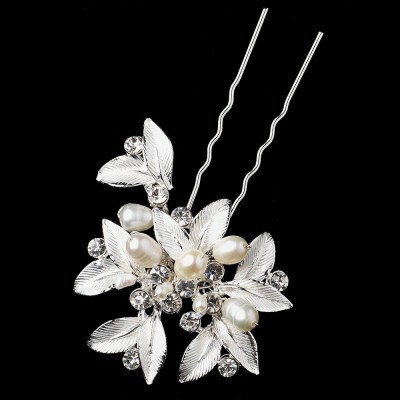 Our collection of bridal hairpins incorporate only the best materials, including Swarovski Crystal, Austrian Crystal, Cubic Zirconia, Freshwater Pearl and Swarovski Beads. Our range of bridal hairpins are designed to compliment the many hundreds of bridal jewellery items in our online jewellery collection. Mix and match the pieces to develop a look that is perfect for you. 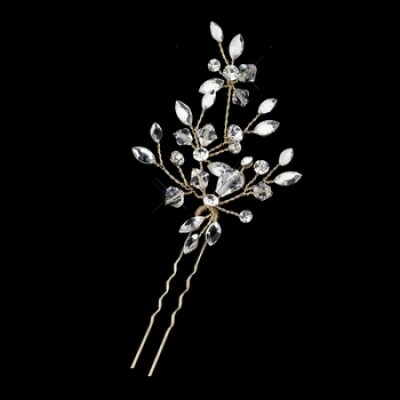 Why not consider giving your bridesmaids their own unique bridal hairpin? Hairpins make great personalised gifts your bridesmaids will love!